Home :: Puppets theatre :: Collectible Puppets Theatre "Old times"
"Old times" collectible home Marionettes Puppets theater for sale. 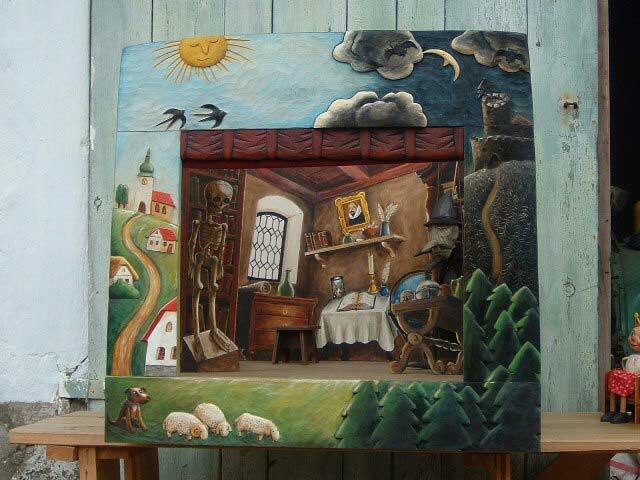 The puppets theatre is handmade carved from wood for the collector or museum. 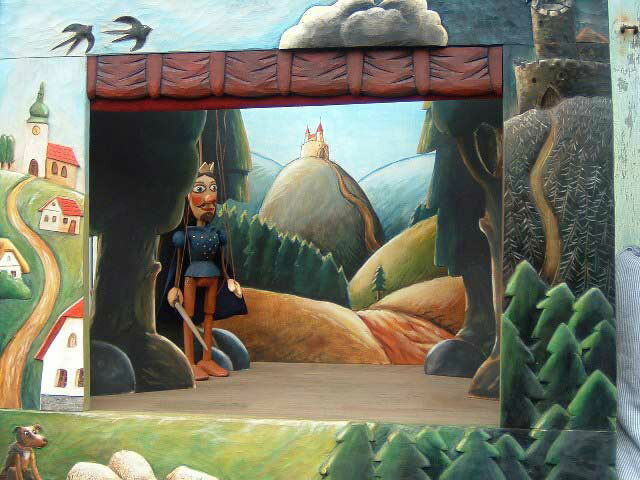 The wooden puppet theatre consists some sceneries and stage. The puppets theater is complete and ready for performance. You can, if you wish, complement the theatre with other wood puppets marionettes and sceneries offered in our shop. 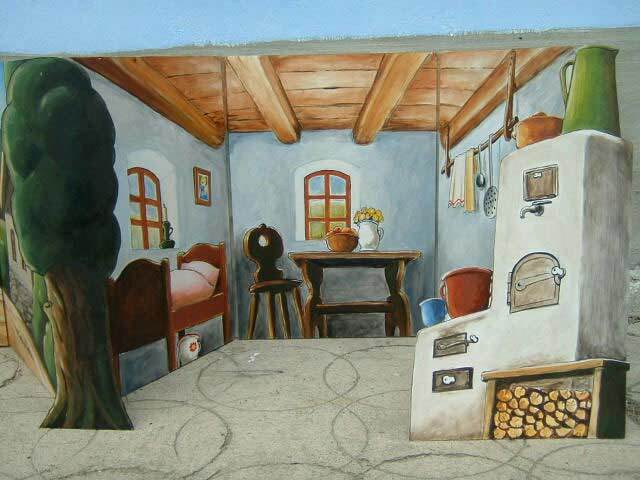 The subject of scenes and side scene for theatre is possible to change or order other pictures. The size of the theater is 36"x24"x24"
Sizes of marionettes puppets is 8"-14". Exclusive Gift! 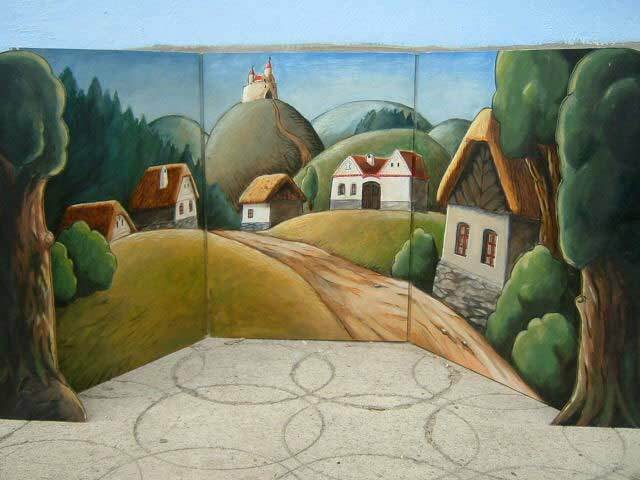 Original puppets theater buy, handwork by a Czech artist. Photos give only the overall presentation of the theater. However, the customer can submit their own proposal theater and dolls other list. 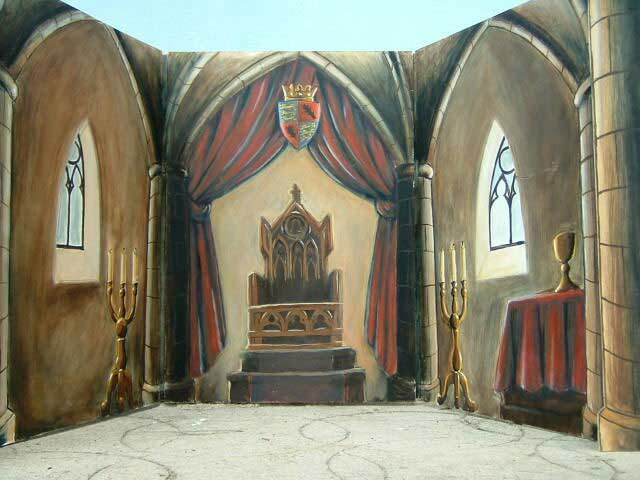 The puppet theater is made to order and sent to your address at the latest 6-7 weeks after payment.